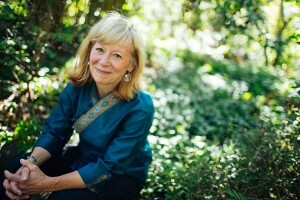 Geraldine (Geri) Richmond is the Presidential Chair in Science and Professor of Chemistry at the University of Oregon where she has been since 1985. A native of Kansas, she received her undergraduate degree in chemistry from Kansas State University and her Ph.D. in physical chemistry from the University of California, Berkeley. Her educational efforts have focussed largely on introductory chemistry and science literacy courses as well as being the director of several University of Oregon undergraduate research programs. Her research examines the chemistry and physics that occurs at complex surfaces that have relevance to important problems in energy production, environmental remediation and atmospheric chemistry. Using a combination of laser-based methods and theoretical simulations her most recent efforts have focussed on understanding environmentally important processes at water surfaces. Over 200 publications have resulted from the studies conducted in her laboratory with undergraduate, graduate students and postdoctoral associates. Throughout her career Richmond has had the privilege of working with do zens of fantastic undergraduates, graduate students and postdoctoral associates in her laboratory. She is a member of the National Academy of Sciences and a Fellow of the American Academy of Arts and Sciences. 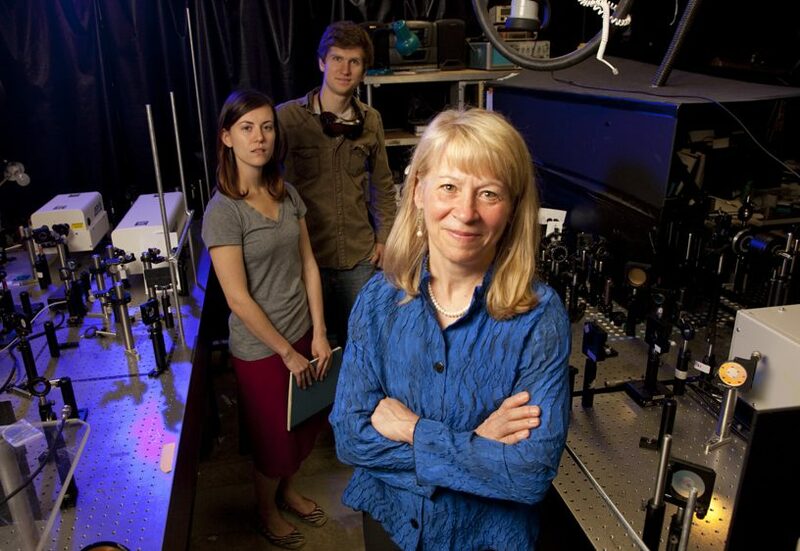 Awards for her scientific accomplishments include the National Medal of Science, the Priestley Medal of the American Chemical Society (ACS), the Linus Pauling Legacy Award, the ACS Olin-Garvan Medal, the ACS Joel H. Hildebrand Award, and the American Physical Society(APS) Davisson-Germer Prize in Surface Physics and the 2018 ACS Priestley Medal. 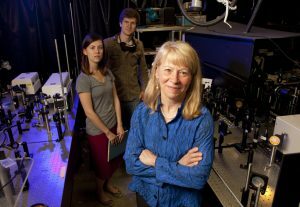 She is a Fellow of the ACS, APS, American Association for the Advancement of Science (AAAS), the Association for Women in Science (AWIS) and the Society of Applied Spectroscopists (SAS). Richmond has held numerous leaderships roles in the national and international scientific arena throughout her career. She is currently serving on the National Science Board and is Secretary of the American Academy of Arts and Sciences. She has recently served and as U.S. State Department Science Envoy to the SE Asian Lower Mekong River countries of Thailand, Myanmar, Cambodia, Vietnam and Laos (Kerry appointee) and is the recent president and Chair of the Board of the American Association for the Advancement of Science (AAAS) . A strong advocate throughout her career for diversity in the scientific workforce, Richmond is the founding and current Director of COACh, a grass-roots organization fo rmed in 1998 that has helped in the career advancement of over 20,000 women scientists and engineers in the U.S. and in over 20 developing countries in Asia, Africa and Latin America. 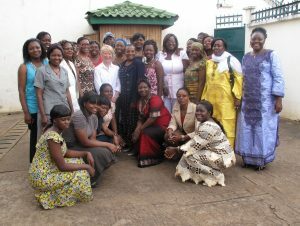 Awards for these education, outreach and science capacity building efforts include the Presidential Award for Excellence in Science, Mathematics and Engineering Mentoring, the ACS Award for Encouraging Women in the Chemical Sciences and the ACS Charles L. Parsons Award. Linus Pauling Legacy Award to Geri Richmond, NPR/Oregon Public Broadcast Interview on the Think Out Loud program, April 16, 2019. TEDxSalem: “The Magic and Mysteries of…..” January 5, 2019, Salem OR. “Conversation Between NPR’s Joe Palca and Geri Richmond“, Women in Science Seminar Series, Lawrence Berkeley National Laboratory, June 2018. “An Evening with Geraldine Richmond” Trailer, hosted by the National Science and Technology Medals Foundation, Madison, Wisconsin, May 2018. “The People Behind the Discoveries are What Matters”, Geri Richmond interviewed by Jo Handelsman, University of Wisconsin, Sponsored by the National Medals Foundation, posted September 2018. “Geri Richmond on the 2018 Science and Engineering Indicators”, National Science Board, February 2018. “Priestley Medal Address: A Journey of Turning Points and Unlikely Destinations,” 255th National ACS Meeting, New Orleans, LA, March 2018. American Chemical Society “Prized Science” Interview, May 2018. “Global Scientific Engagement”, National Institute of Science and Technology (NIST) Colloquim, April 2017. “Women Leading in Research and Innovation”, Gender Summit 6 Keynote Address, Seoul, Korea, August 2015. “Partnerships Help Women Break “Polycarbonate Ceiling”, AAAS Presidential Interview, July 2015. “Invitation to the 2016 AAAS Meeting in Washington, DC by President Geraldine Richmond”, July 2015. “A Chat with Dr. Geraldine Richmond, U.S. Science Envoy, about women’s roles in the sciences,” U.S. Embassy of Bangkok, February 4, 2015. “Surf, Sink or Swim: Understanding Environmentally Important Processes at Water Surfaces”, The IHMC Evening Lecture Series, Pensacola, Florida, January 2014.